Ballgown wedding dress in crepe and tulle with curved 'V' neckline and thin spaghetti straps. 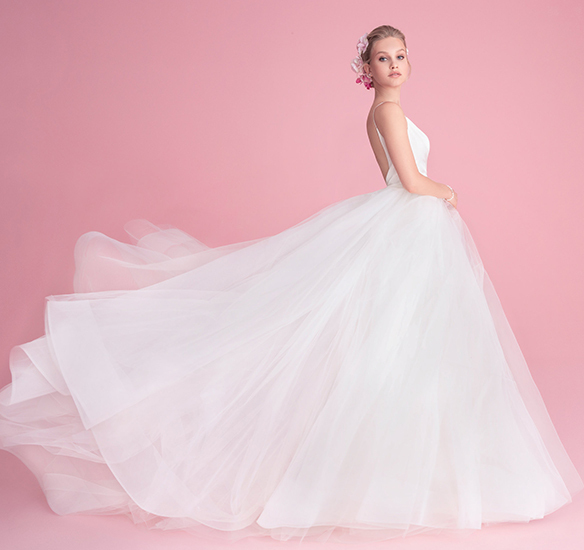 Features a draped cross over bodice and an open scooped back, voluminous gathered tulle skirt with wide horsehair braid. Wedding dress from Blush by Hayley Paige.